Back before the 2012 election Barack Obama said Al-Qaeda was defeated and on the run. But, that was during an election year. Today, Al-Qaeda is on the run and holding parades. 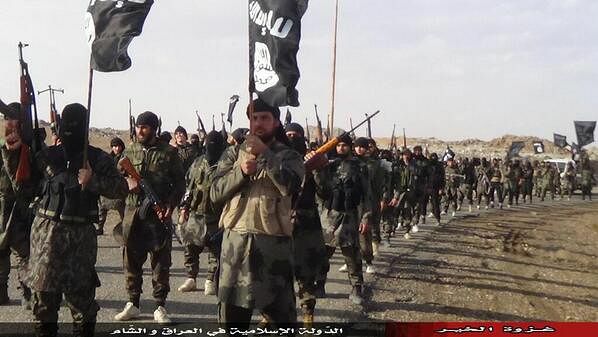 Al-Qaeda members hold a parade recently in Syria. Yesterday, at Bagram Air Force base, Obama finally admitted that Al-Qaeda affiliates are evolving and are not so much defeated and on the run. So our combat mission here will come to an end. But our obligations to you and your families have only just begun. The al Qaeda leadership may be on the ropes, but in other regions of the world al Qaeda affiliates are evolving and pose a serious threat. We’re going to have to stay strong and we’re going to have to stay vigilant.